A lower stomach flattening exercise can help tone up your midsection, but if you really want to lose weight you need to take a comprehensive approach to fitness. This page will teach you an exercise that works the lower part of the stomach. If you've read my page on lower abdominal and stomach exercise physiology, then you understand that you can emphasize the lower part of the stomach when you move your legs or posteriorly tilt your pelvis. And if you've read my page on the #1 Ab and Stomach Exercise Myth, then you know that you cannot magically spot reduce fat by doing stomach exercises. Stomach exercises help, but you need an overall approach to get a flat stomach. Below are pictures for how to do flutter kicks on a Bosu Ball. Since the Bosu Ball is unstable, your core muscles will have to work harder compared to when you do flutter kicks on the floor. Starting Position: Begin by sitting on a Bosu Ball. Place your hands on the floor for support. Then, extend your legs straight in front of you. Form: While keeping your stomach muscles tight and your legs straight, alternate kicking your legs in the air. Personal Trainer Tips: You can do this exercise for a certain number of repetitions (20-50 on each leg) or you can do it for a specified period of time (e.g. 30 seconds). Use a short range of motion with your kicks. If the front of your hips feels tight or cramps during this exercise, try stretching your hip flexors between sets. If this exercise is too challenging, try mastering this lower stomach flattening exercise on the floor. The bosu ball can make your stomach workouts more fun and more challenging. But if you don't have a bosu ball check out the Picture Directory of Abdominal and Stomach Exercises to find more of the best abdominal and stomach exercises for your workout or try one of the free stomach workouts on this site. 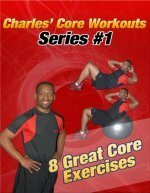 Here's a list of all the abdominal exercises and core exercises on this site.